This gripping multiple-murder mystery is overlaid with tremendous atmosphere and action. 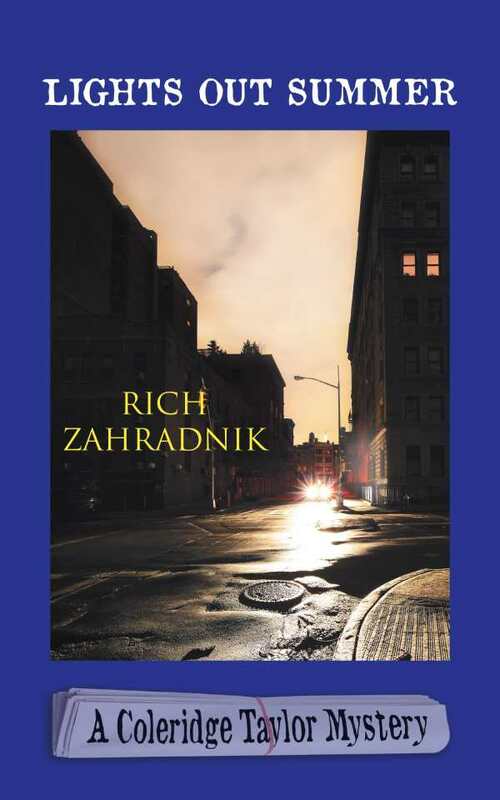 You might think Coleridge Taylor is the star of Rich Zahradnik’s Lights Out Summer, the fourth in his mystery series featuring the tenacious investigative reporter, but the limelight shines most on New York City in the 1970s. The author is clearly infatuated with the City That Never Sleeps, even at its twentieth-century nadir, when it was a roiling stew of recession, public employee layoffs, corrupt politicians and cops, crime, drugs, and reeking mounds of garbage from the sanitation worker strikes. Coleridge Taylor works for a small newswire. He is intimately familiar with all the five boroughs’ neighborhoods, from the “Irish Riviera” of the Rockaways to the seedy twenty-four-hour adult theaters of Times Square to Park Avenue, “the antique-furnitured, libraried, doormanned, butlered part of Manhattan.” He never tires of his hometown’s electricity and intensity. Lights Out Summer takes place over the summer of 1977, when the Son of Sam killer stalked the night and the infamous overnight blackout saw poorer neighborhoods looted and burned by their residents. Taylor is disdainful of the prevailing media frenzy and focuses instead on the unsolved murder of a young African American woman, Martha Gibson, who is killed on the same night as one of the Son of Sam victims. He seeks stories like hers that don’t interest the rest of the press as a way of assuaging his own inner demons and to “illuminate a life, and maybe, sometimes, bring justice.” His sarcastic interior monologues and dialogue shape a complicated character who is often irritated, sometimes lionhearted, but always dogged. The dialogue and descriptions of the übercompetitive New York media scene ring true, as if drawn from the author’s own journalistic experience. It’s almost humorously hard today to imagine reporters dashing out of police bureau press conferences to call in news stories on a landline, with someone furiously typing it in on the other end, for an afternoon edition of the daily newspaper. Lights Out Summer is a gripping multiple-murder mystery overlaid with tremendous atmosphere and action. Here’s hoping a fifth Coleridge Taylor adventure is in the works.